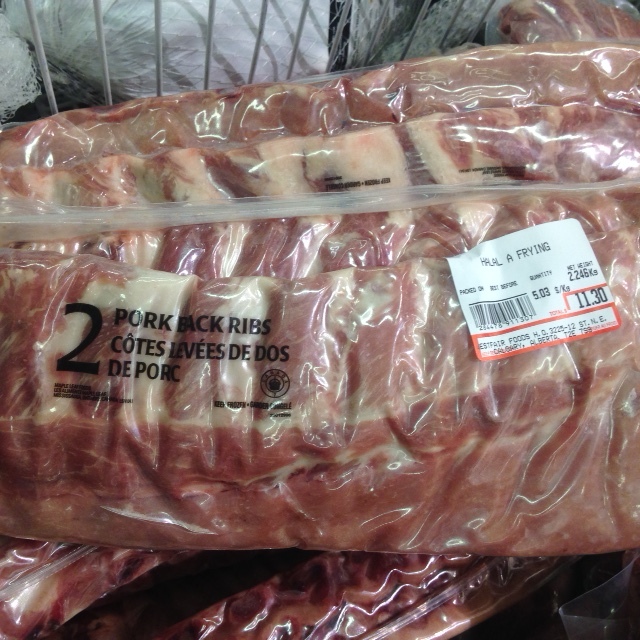 BNI reader, Edna, found these pork ribs in a Real Canadian Superstore, clearly marked for halal frying. I know which location it is, but I won’t tell, if you won’t. So, where is the warning on the package about the real possible side effects? 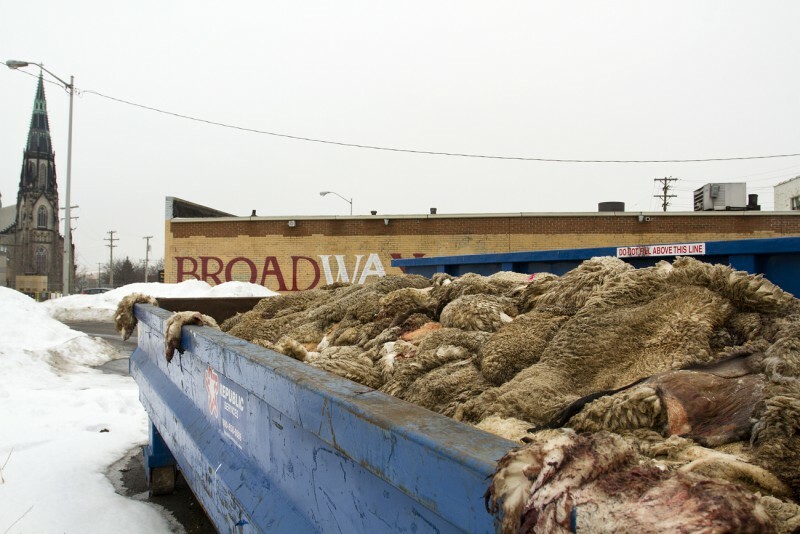 A dumpster at the halal market was brimming with scores of rotting lamb carcasses, plainly visible to motorists along Gratiot Avenue in what is a clear violation of state law and a risk to public health. Motor City (h/t Rob E) The Bodies of Dead Animals Act of 1982 requires carcasses to be burned, buried or passed off to a licensed processor within 24 hours of being slaughtered. 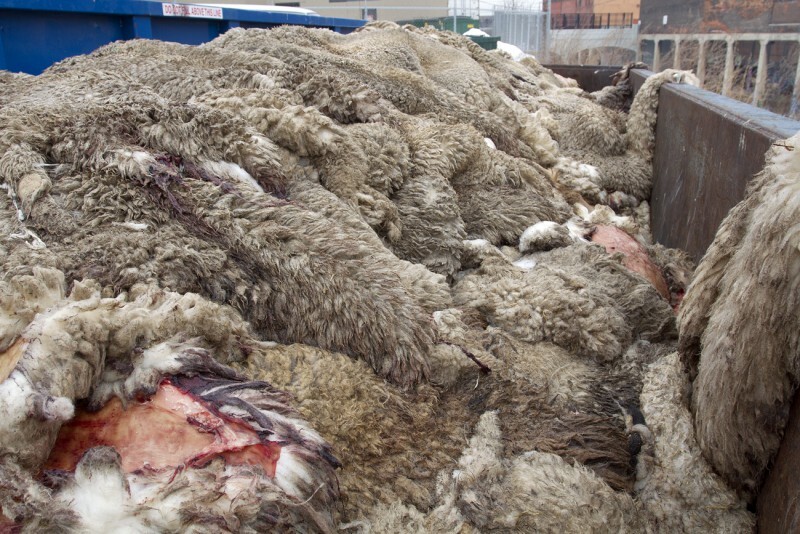 Witnesses said the dumpster has been full of lamb carcasses for several weeks – or longer – but it’s unclear how often they are being picked up. Images from Google Maps appear to show the dumpster full of animal carcasses. Whatever the case, the stench could induce gags from Gratiot. It wasn’t immediately clear who is responsible. Parked outside the dumpster was a van for Berry and Sons Islamic Slaughter House, which butchers lamb, beef and goat for Muslims in a building behind the lot at 2496 Orleans St. The business didn’t return calls for comment. 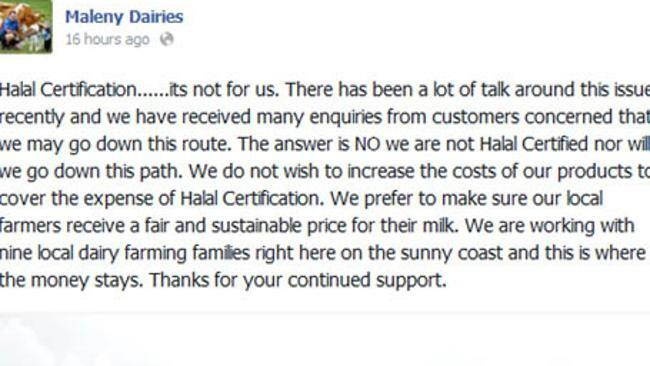 Be sure to patronize the products of Fleurieu Milk & Yoghurt Company, a south Australian company which has agreed with a social media campaign and scrapped its halal certification, costing it a contract with EMIRATES, the Middle East’s biggest airline. Vili’s Meat Pies, however, refuses to give up its halal certification. 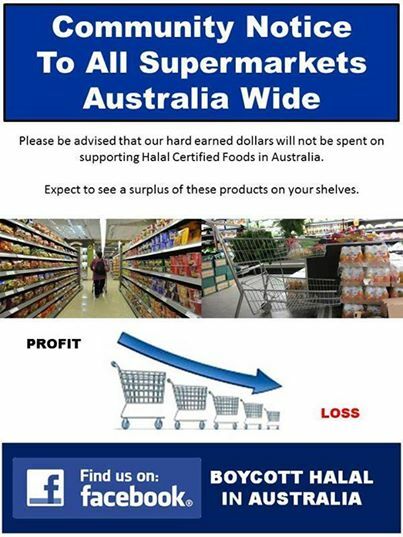 Adelaide Now Fleurieu Milk Company, and other South Australian food and drink manufacturers such as Vili’s and Coopers, have been targeted by Facebook pages like Halal Choices and Boycott Halal in Australia for their decision to pursue the certification. 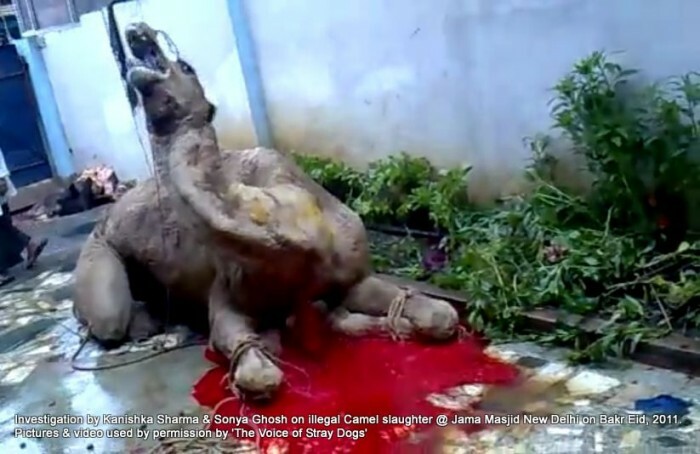 Halal is a term used by Muslims meaning the food has been prepared or slaughtered according to ­Islamic law, in a very barbaric manner which causes the animal undue pain and suffering while it slowly bleeds out and dies. Fleurieu Milk Company sales and marketing manager Nick Hutchinson said the decision to drop the halal certification would mean the Myponga-based dairy would lose a yoghurt supply deal with Emirates worth more than $50,000 a year. 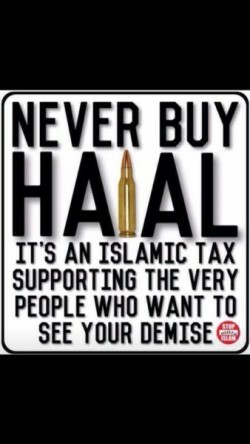 The anti-halal sites make a number of claims about the certification, including that it is essentially a religious tax that forces up the price of food, that it is cruel to slaughtered animals and that money could be used to fund Islamist terrorists overseas. 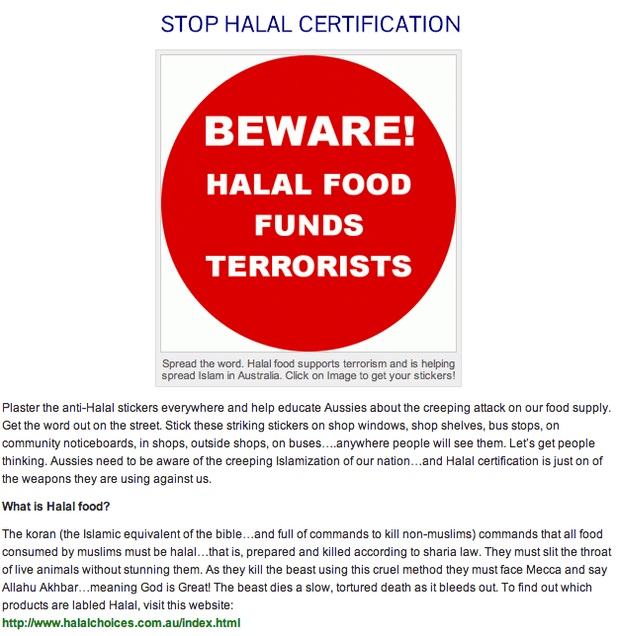 The sites encourage consumers to boycott any products displaying the halal accreditation symbol. Mr Hutchinson said he believed the anti-halal sites were wrong in targeting Australian food producers. “Other company’s make tens of millions of dollars through being halal certified and cannot walk away like we have,” Mr Hutchinson said. “These business owners are true-blue Aussies bringing a lot of international dollars back into the local economy and would prefer not to pay the certification fee as well. Gourmet meat pies and pastry manufacturer Vili’s confirmed the company had also been the target of the anti-halal group, but said it had no plans to bend to pressure from “hate mail and ignorant comments”. A spokesman for Vili’s said the company had been halal certified since 1997, and that it had helped the company grow both in Australia and overseas. “From a purely economic viewpoint, halal certification brings a lot of money into Australia,” the spokesman said. “Vili’s also tries to be an ­inclusive company. 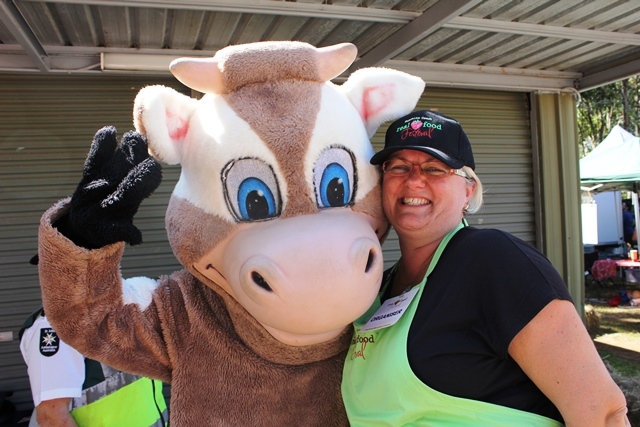 We have no plans to change anything.” The spokesman said while he would never tell the Fleurieu Milk Company how to run its business, he hoped that the company “isn’t being influenced unnecessarily”. The post was given almost 40,000 likes, shared by more than 4400 people and then sparked a storm of comments – both against halal certification and in favor. Many Australians have questioned why producers have to pay extra costs to get certified for a minority of consumers. 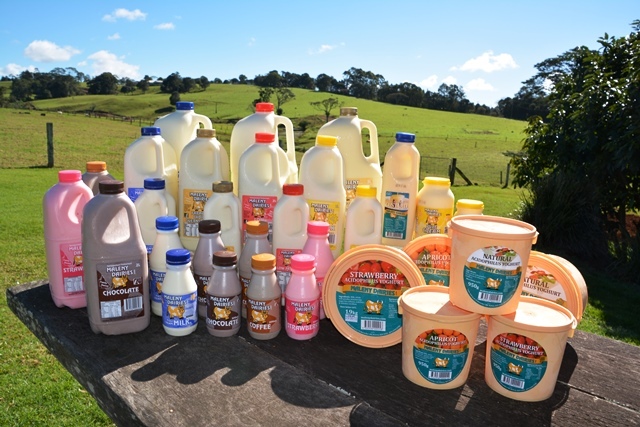 But supporters say halal certification makes good business sense for Australian businesses as it opens up a massive export market to the north, particularly in places like Indonesia, Malaysia and the Middle East. 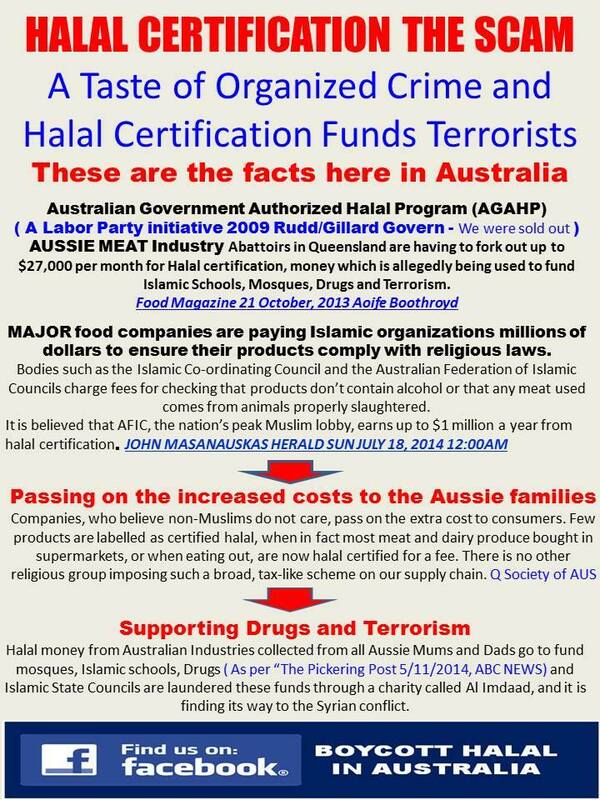 Halal industry supporter Ahmed Kilani denied claims the Australian money was being directed to fund terrorism activities overseas, saying the industry was highly regulated. He said the vast majority of companies involved in certification were ‘not for profit’ organisations which fund community aged care, schools, and local charities. 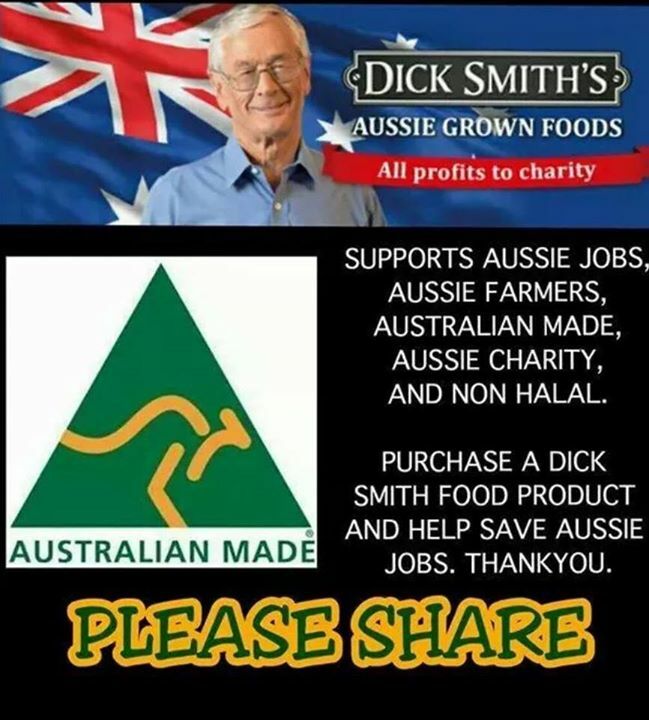 “The halal industry in Australia is worth $10 billion and employs tens of thousands of Australians,” he told ABC Coast FM on Thursday. “It’s been a great success story. “It saddens me when people try to tear it down on false information.”He said the funding obviously was directed to Islamic communities but also went to help out the wider community in Australia. Mr Kilani said it was ‘ridiculous’ to suggest that Halal certification added too many extra costs to consumers. He gave the example of where certification for a cow to be slaughtered according to Muslim customs might cost an extra 50 cents per cow. There have been reports Queensland abattoirs are charged up to $27,000 a month for their certification. 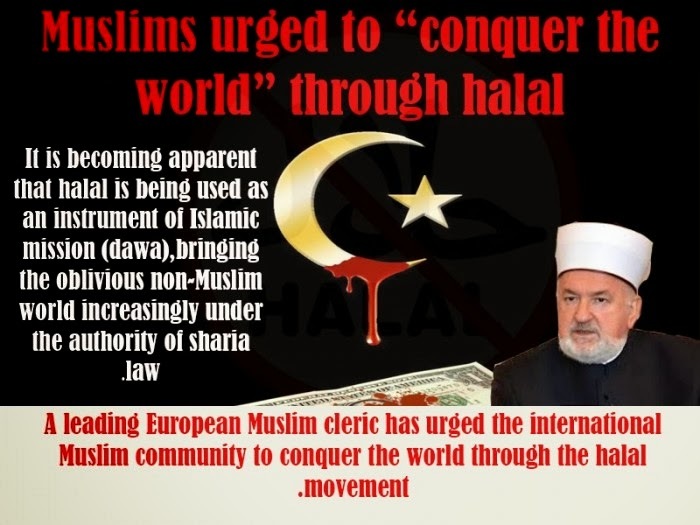 Mr Kilani confirmed halal certification in Australia required meat to be slaughtered by a Muslim. 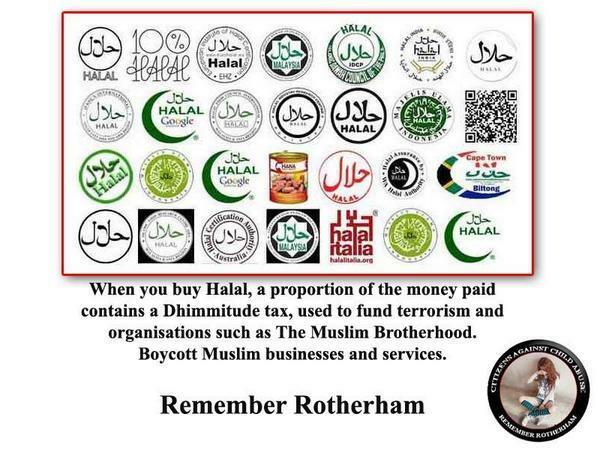 The latest lefty ‘RACIST FRIENDLY’ stickers (even though Islam is not a race) apparently now are being put on meat that is NOT Halal. If we are against it, they support it. However, they chose the wrong package to stick this label on, because ALL lamb slaughtered in New Zealand is halal. But you get the idea. So says a Canadian jihadi fighting in Syria. 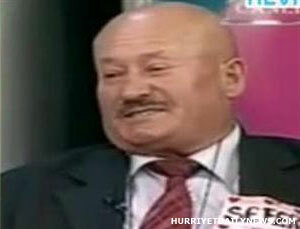 Turkish Muslim man who murdered his wife AND his subsequent lover appears on TV Dating Show looking for a new partner. Sefer Calinak, 62, told Flash TV’s ‘Luck of the Draw’ he had served prison sentences for each of the murders and had been released under an amnesty program. UK Daily Mail (h/t Liz) He told the show’s host ‘I’m an honest person looking for a new wife’ before adding he killed his first wife because he was ‘irritated’ by her behaviour and murdered a subsequent partner because he thought she was after his money. Çalınak was twice released from prison under a government amnesty – without completing his sentences it has been reported. His first wife was a cousin named Fadime, who he married when they were both 17. He then married another woman, and they had two children, but they separated. He then embarked on an affair with another woman who said she would leave her husband for him – but he said she did not, so he killed her, too. Apparently they do, as retailers are facing a backlash after saying they don’t find it necessary to label halal meat as ‘halal.’ And ‘dhimmi’ David Cameron agrees with the retailers. UK Daily Mail (h/t Terry D) Supermarkets were facing a backlash last night after claiming it was ‘unnecessary’ to spell out on labels whether meat comes from animals killed by religious slaughter. Religious groups from all faiths, vets and animal welfare groups joined calls for new labels to identify halal or kosher meat. 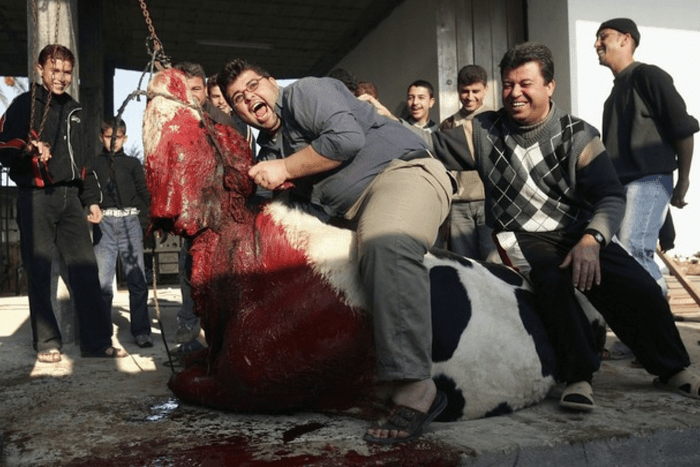 FYI: Kosher is NOT the same as Halal because Kosher butchers cut the spinal cord so the animals feel no pain, but halal slaughter does not cut it, leaving the animals bleeding to death for several minutes in excruciating pain. But retailers claimed that shoppers do not care – and even argued that there is not enough room on packs for new labels. Tory MPs have tabled an amendment to the Consumer Rights Bill, which is to be debated next week, that would require a move to clearer labels. However, the idea is opposed by most retailers and David Cameron believes there is no need to change the law. 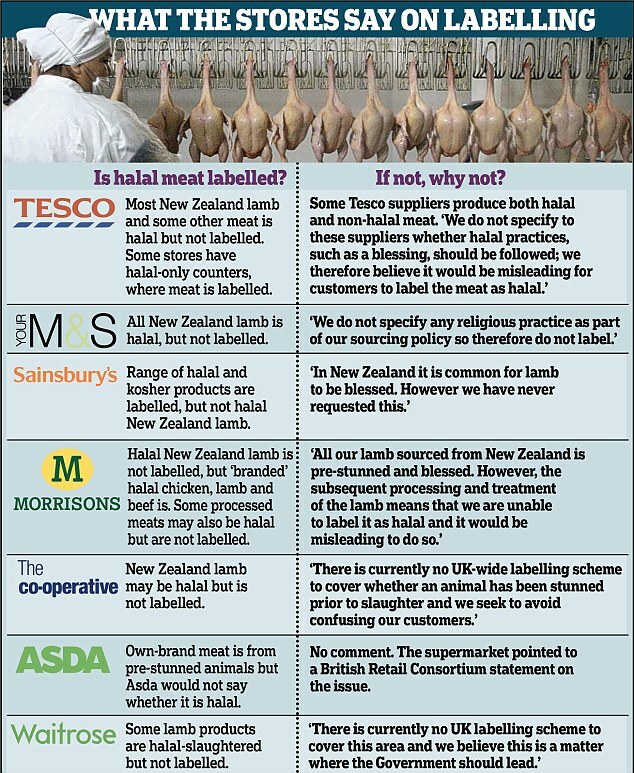 Demands for improved labels follow widespread outrage over the disclosure in yesterday’s Daily Mail that millions of people are being sold halal and kosher meat without being told. All the major supermarkets are selling New Zealand lamb killed according to halal ritual without providing labels. 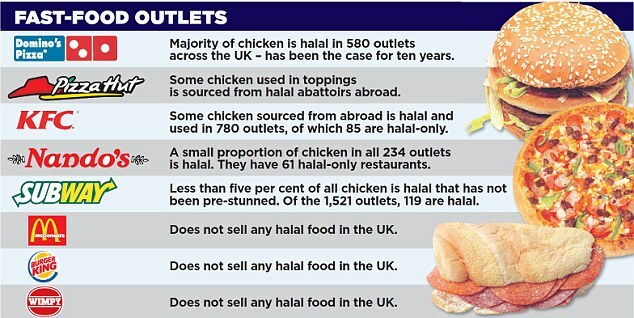 Separately, many restaurants such as Pizza Express, KFC and Subway are selling halal meat – mainly chicken – without printing the information on menus. Mr Davies has the support of a large number of Tory MPs, while the Lib Dem leader, Nick Clegg, said consumers should be given more information. However, Mr ‘dhimmi’ Cameron last night ruled out the need for a new national labelling system, insisting that it was up to the food industry to act if consumers demanded more transparency. The British Retail Consortium (BRC), which speaks for most supermarkets, responded to the criticism by saying a change to labels as unnecessary. By contrast, Morrisons, Waitrose and the Co-op broke ranks to say it is time for the Government to take a lead to develop clear and consistent guidance for the food industry. 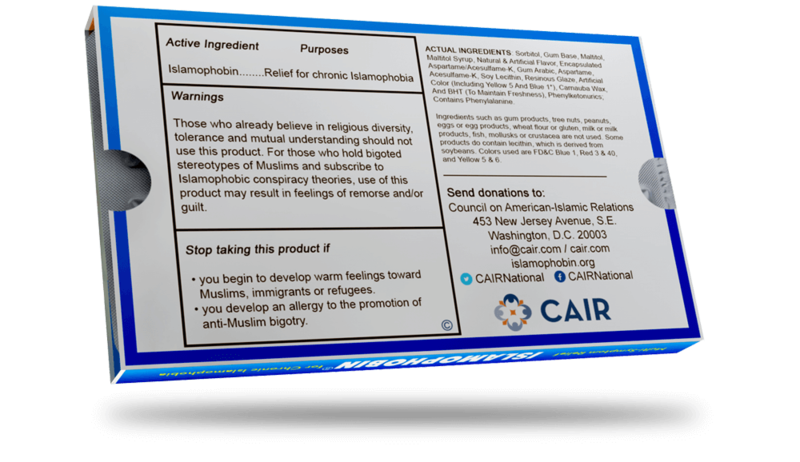 The desire for improved labels is supported by groups from all religious faiths. Unlike Kosher slaughter which cuts the spinal cord, thereby eliminating pain, Halal slaughter does NOT cut the spinal cord in the neck. 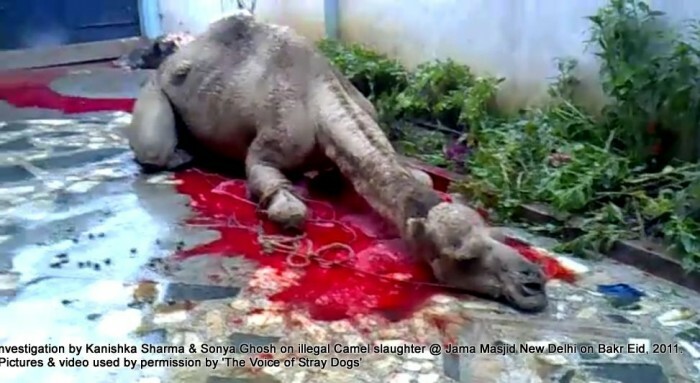 By only cutting the neck half way, Muslims cause the animal to writhe in excruciating pain until he bleeds out and finally dies which can take 10 minutes or more in large animals. Where do you think Muslims learn how to slaughter people? Pizza Express is serving halal chicken to its unwitting customers on the quiet, with staff only telling customers about the meat if asked. Only meat from birds that have had their throats slit while still alive, in accordance with Islamic traditions, is used in dishes. 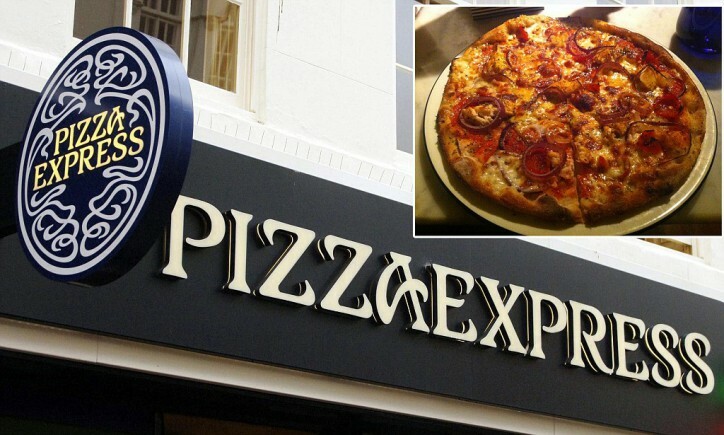 The menu makes no mention of the issue and customers can find out only by checking the small print on the Pizza Express website – or by asking staff explicitly. Or is move because ‘non-Islamic customers are less likely to complain’? 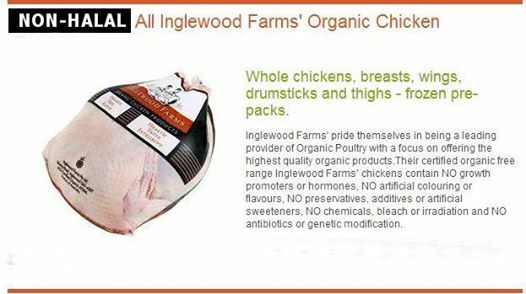 UK Daily Mail (h/t bains) The firm, which has 434 restaurants across the UK, states on its website: ‘All our chicken is halal approved but it is important to note that all birds are stunned before being slaughtered. (They are lying. If it is stunned first, it is no longer halal) A spokesman said: ‘Our chicken is halal approved. We serve halal chicken in all of our UK restaurants. Pizza Express is committed to animal welfare standards. 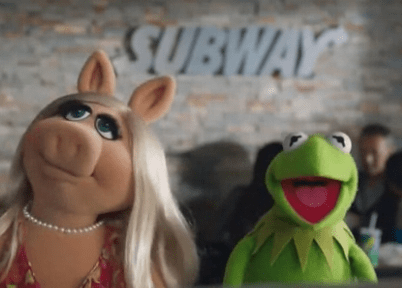 Last week it was revealed that Subway has removed ham and bacon from almost 200 fast food outlets and switched to halal meat alternatives in an attempt to please its Muslim customers. Turkey ‘ham’ and turkey rashers will be used instead in 185 of its stores, where all the meat will now be prepared according to halal rules. The chain, which has around 1,500 outlets across the UK, explained its decision by saying it had to balance animal welfare concerns with ‘the views of religious communities’. 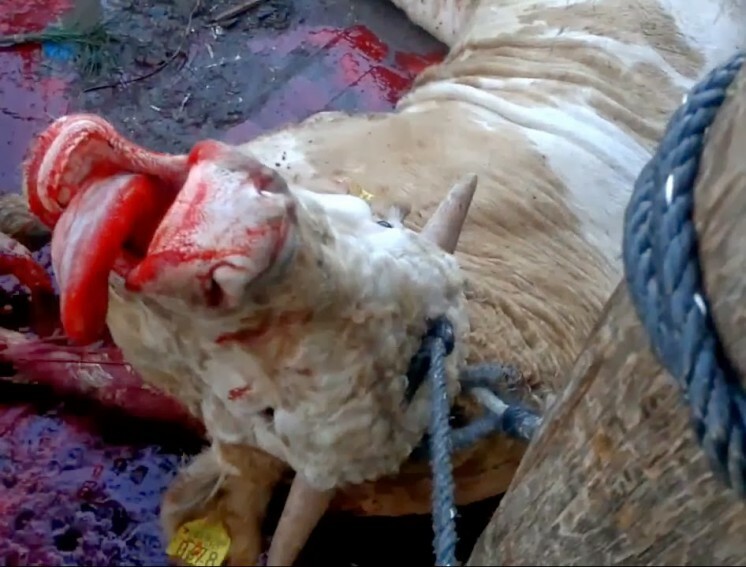 Traditional halal slaughter has animals having their throats slit before bleeding to death. In Arabic the word halal means ‘permitted’ or ‘lawful’ and defines anything that is allowed or lawful according to the Koran It is often used to indicate food – particularly meat – that has been prepared in accordance with Muslim principles and techniques. In Britain, killing an animal without prior stunning is illegal, but the law gives special exemption to Muslim meat producers on the grounds of religion. 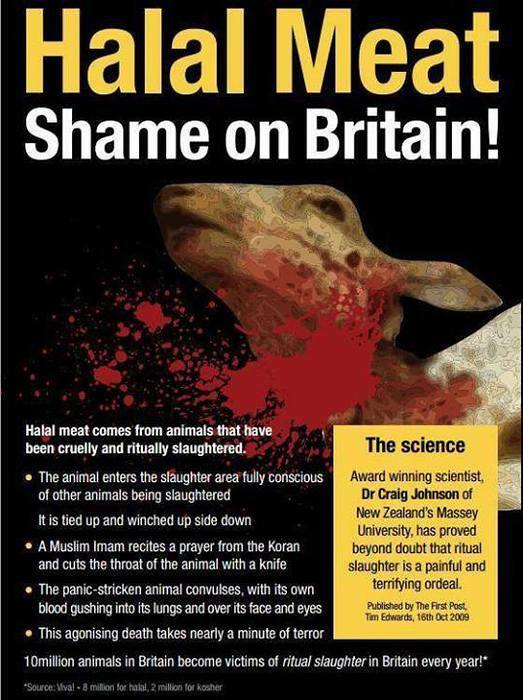 In the UK there are thought to be around 12 abattoirs dedicated to unstunned slaughter, while hundreds practise stunned halal slaughter. 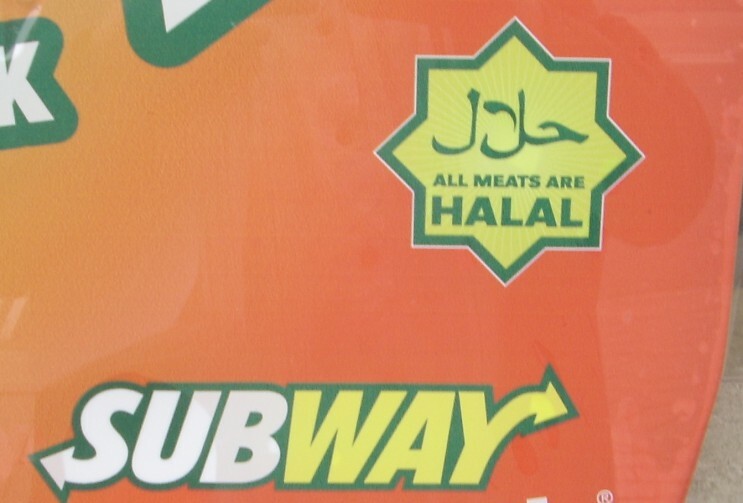 Muslims are forbidden from eating any non-halal food and meat from pigs and Subway said customers can identify those stores selling halal food by the special ‘All meats are Halal’ sign, which must be displayed in participating branches. 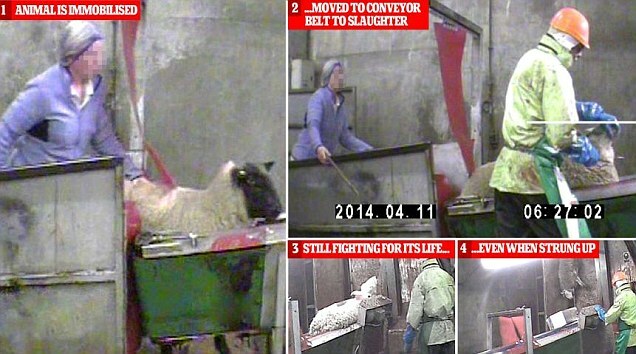 A People for the Ethical Treatment of Animals PETA spokesman told MailOnline: ‘Peta fights to help all animals who are slaughtered for their flesh, and we do not particularly differentiate between killing methods in our vegan campaigns. Halal refers to any object or action which is ‘permissible’ according to Islamic law. The term covers not only food and drink but also matters of daily life. 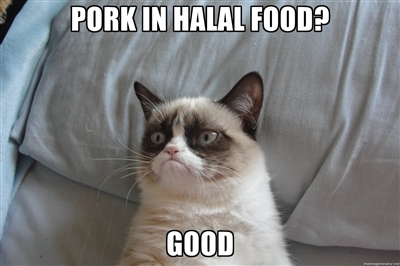 Halal foods are those that Muslims are allowed to eat or drink under Islamic Shari’ah. The criteria dictates both food which are allowed and how the food must be prepared. The foods most commonly addressed are types of meat and animal tissue. The most common example of non-halal, or forbidden food is pork. It is the only meat that must not be eaten by Muslims at all, due to historical, cultural and religiously perceived hygienic concerns. Halal search option removed from Subway website due to staff safety concerns. 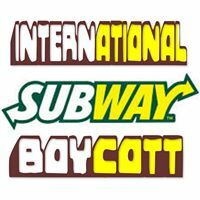 Bedfordshire News This week, Subway revealed that around 185 of their stores are serving halal only meats with ham and bacon being replaced by turkey based products. One of these stores is located in New Bedford Road, Luton and until today you could select halal only stores from the website to find out where your nearest was. However, today the company have removed this option from their website due to concerns over staff safety. A press officer for Subway told Bedfordshire On Sunday that the decision to take the search option off the website was taken in response to a number of threatening and offensive emails and social media posts, which led to concerns about the safety of employees at these outlets. However they did state that there would be clear notices in store informing customers that the meat being sold was halal. 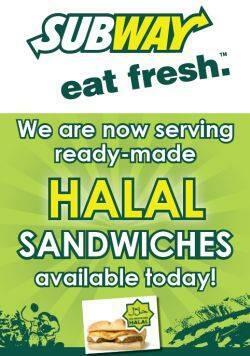 Given Subway have turned halal how long before they bring in Subway Sharia Law? Women forced to eat 2 foot subs under a black out curtain. 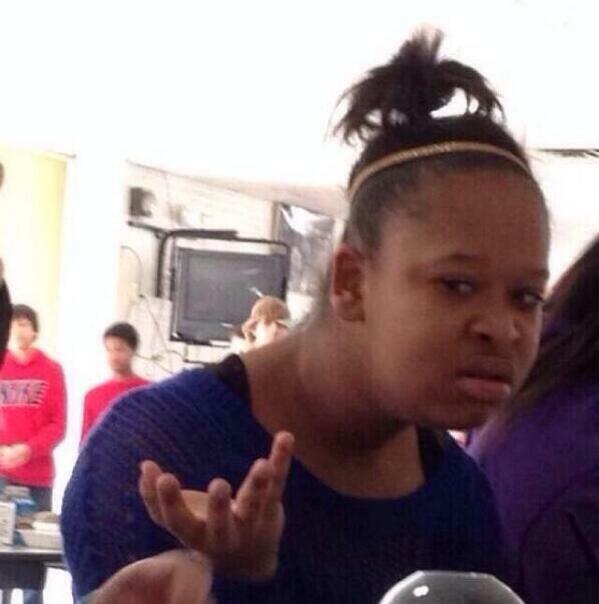 Am I the only one finding the #HalalSubway story confusing considering who they use to advertise their products? 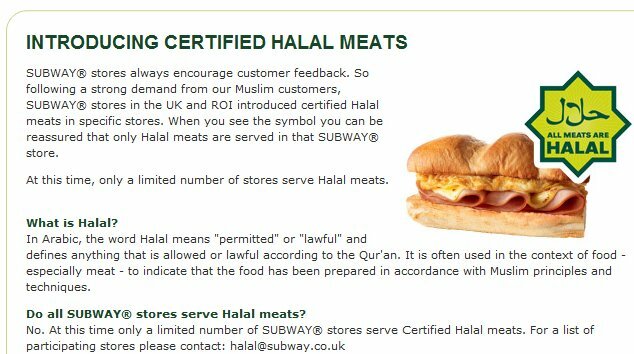 Sorry @SUBWAY I have the right not to consume halal meat just as much as a Muslim as the right to only consume halal meat. Customer lost. 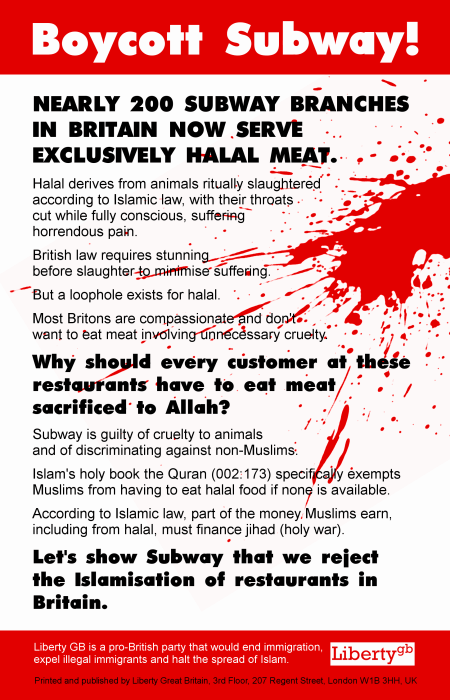 @SUBWAY I don’t want to eat Halal meat, can you remove it please ? 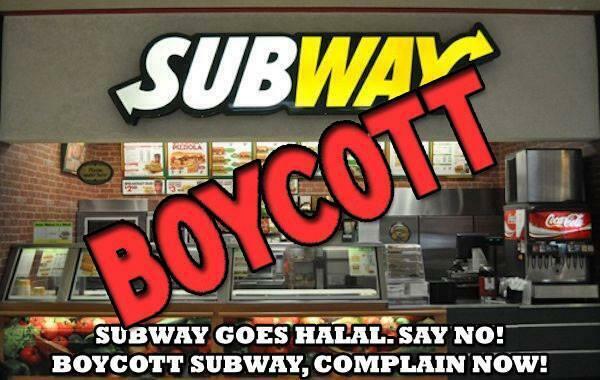 So subway only sell halal meat now.. What about Non Muslims? Or have we become the minority now? 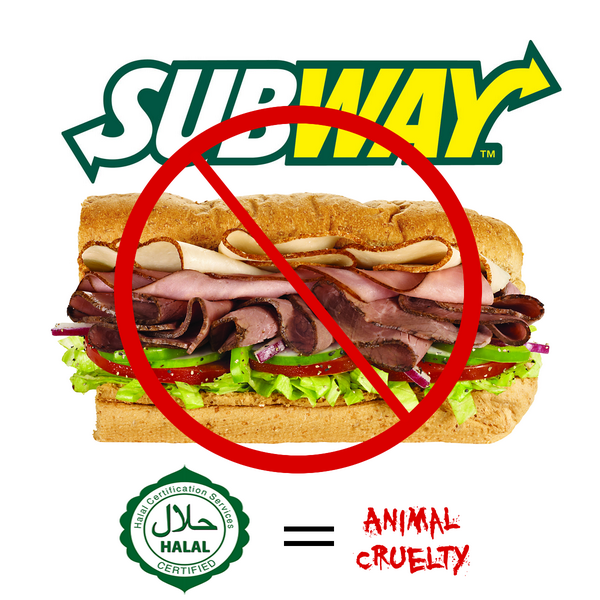 Subway replacing bacon and ham with halal meat. Seriously, this country has gone mad?! thats the last time i ever eat a #subway. 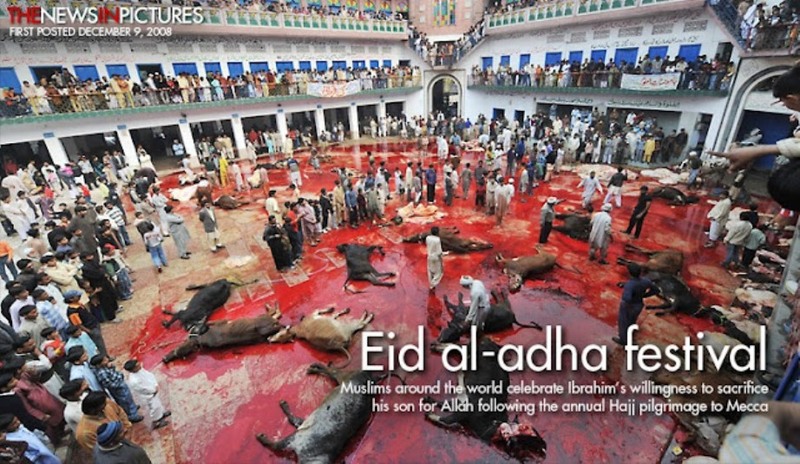 I dont want to eat halal meat thank you very much!! 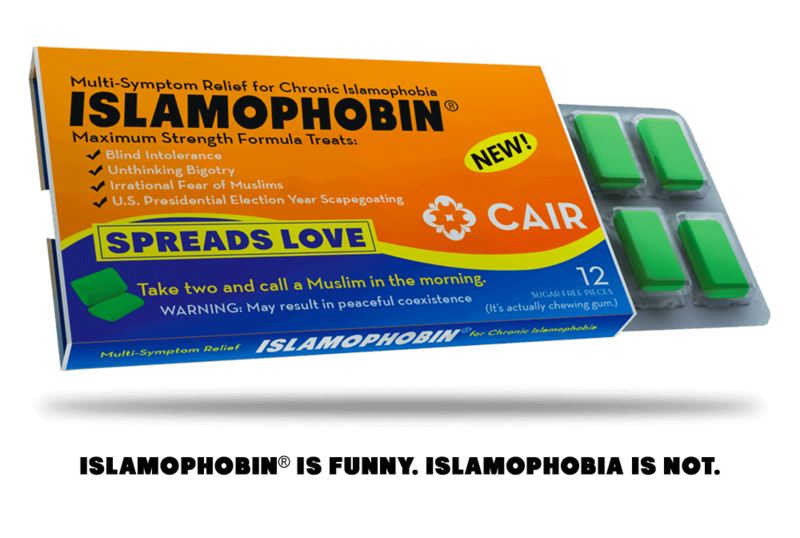 Have the islamaphobes ever considered the fact that the Halal food industry is worth hundreds of billions? Sandra Hill, from Mickleover, wrote to the Derby Telegraph after going into a local Tesco and finding halal meat being advertised in big letters. 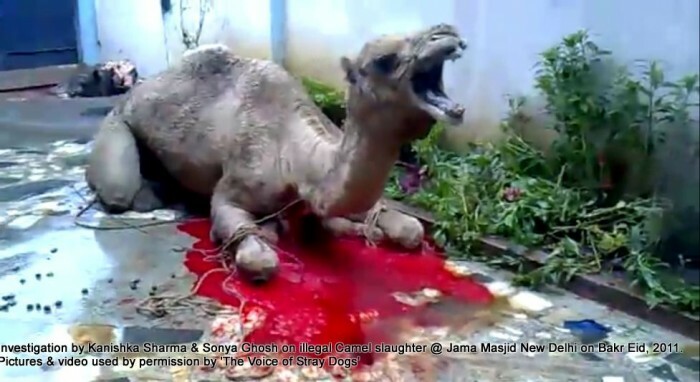 Halal is essentially meat that Muslims are allowed to eat according to Islamic law and must be prepared in certain way: It involves a cut to the neck of the unstunnned animal but not the spinal cord which means he dies in agonizing pain while he bleeds out, a process that can take several minutes. Sandra Hill, from Mickleover, wrote to the Derby Telegraph after going into a local store and finding Halal meat being advertised in “big letters”. 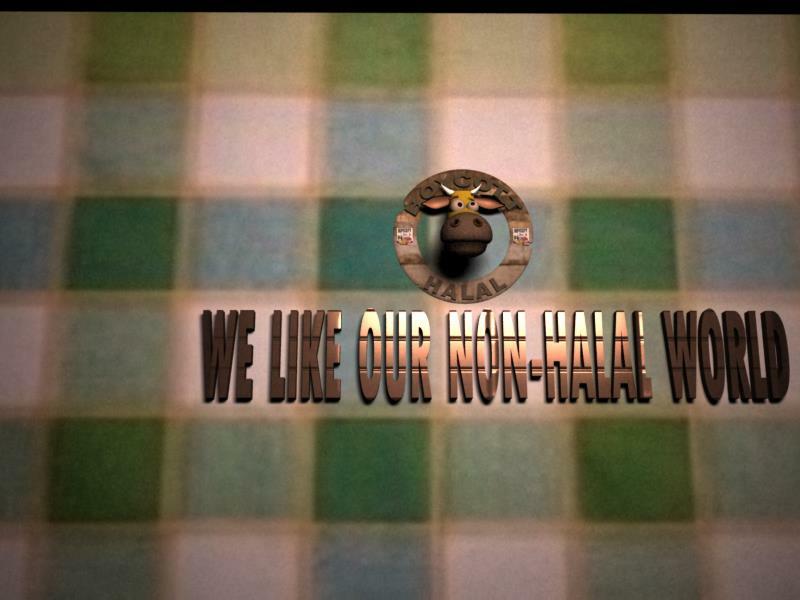 Halal is essentially meat that Muslims are allowed to eat according to Islamic law. It must be prepared in certain way – involving a cut to the jugular vein and the animals must be healthy at the time of slaughter. Ms Hill said she came out feeling “absolutely furious” after seeing the large advertisement. 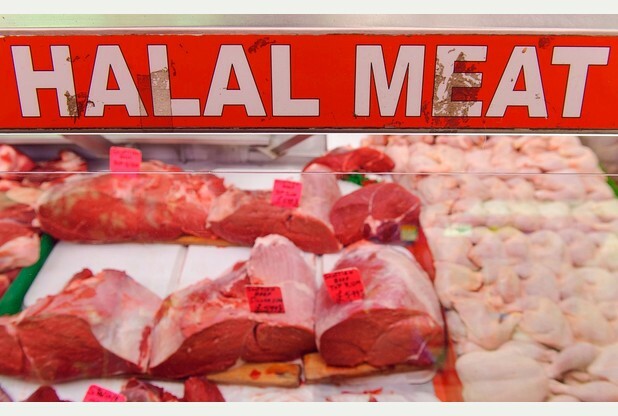 She said: “As I passed one aisle, there was a large sign over it, in big letters saying Halal meat. “Do not think for one minute that I am racist or anti-religious – I am most definitely not – but I am anti-cruelty to animals, and, from my understanding, so are a large number of people. “I am appalled that a large supermarket chain sees fit to promote a product which ensures that animals are not killed in a way that the average person approves of. “I spoke to the manager and voiced my annoyance. I asked her if she would put up a sign over another aisle saying ‘non Halal meat’, and she said ‘No, it was company policy to do what the store was doing’. Meanwhile, the RSPCA said it was opposed to the slaughter of any animal that has not been rendered insensitive to pain and distress. 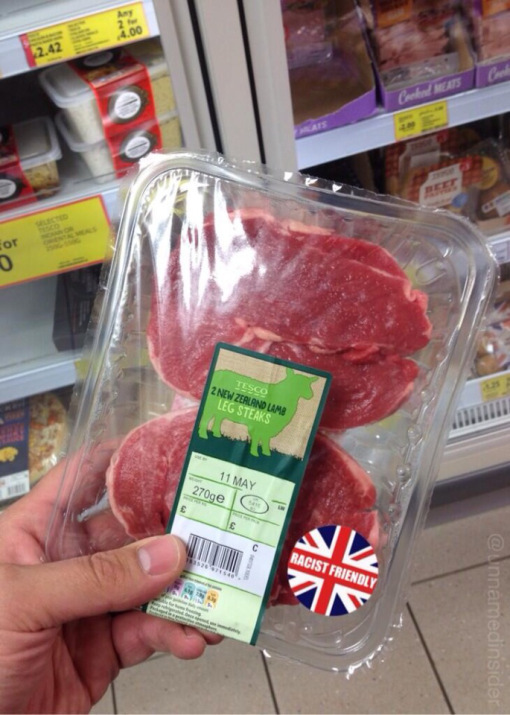 However, it welcomed Tesco’s decision to clearly label Halal meat. A spokesman said: “We recognise that religious beliefs and practices should be respected. However, we also believe animals should be slaughtered under the most humane conditions possible. Evidence clearly indicates that slaughter without pre-stunning can cause unnecessary suffering. 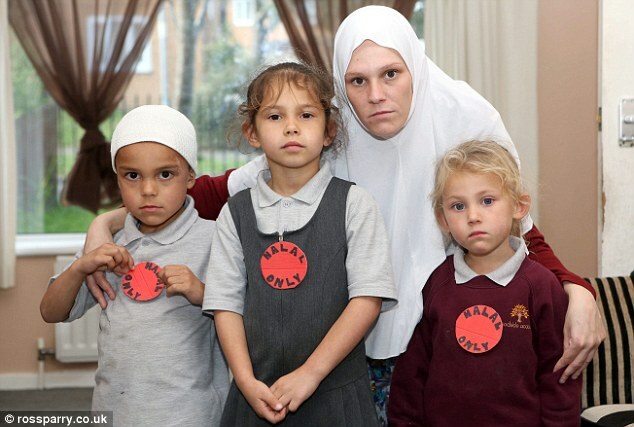 ‘The “Halal only” signs on the uniforms are a protest by me and my children, which is what I told the head teacher and that it will continue for as long as it takes.’ Mrs Khan and her husband Talib Hussain, 38, said they took action after losing confidence in the school’s ability to prevent the dishes being served to their children. They said they wrote to the school and even went in to see staff on a number of occasions last year when Khadija was served non-Halal food for her school dinner. On one occasion, it was her younger brother, Mohammed, who pointed out the mistake and the meal was switched. However, they said the breaking point came last week when the schoolgirl was again given non-halal food. They said their daughter has regularly been offered ham and crackers in the classroom and sent home with a bag of jelly sweets, which contain gelatine that is banned under Halal rules. Both parents said that because their children are so young, they sometimes struggle to differentiate between halal and non-halal food, meaning they have to put their faith in the school to provide the correct option. The school, which is an independently-run academy, is provided the food by Bradford Council, where meals are prepared off-site and separated for different dietary requirements. Staff at the school are informed about which pupils should be given the specially prepared meals. Woodside Academy apologised to the family and said an investigation had been launched to establish why the mistakes have occurred. Mrs Khan said: ‘Every time we complained to the school they say they are going to look into why this is happening, yet these mistakes keep happening. (Send your kids to a muslim school) ‘I asked them does this happen to any of the other children, which they replied no. The family also complained to Bradford Council, who sent a letter informing them that staff would be given Halal awareness training. A spokesman for Woodside Academy said they regretted the incident and confirmed they are liaising with the Bradford Council to undertake an investigation into their procedures. 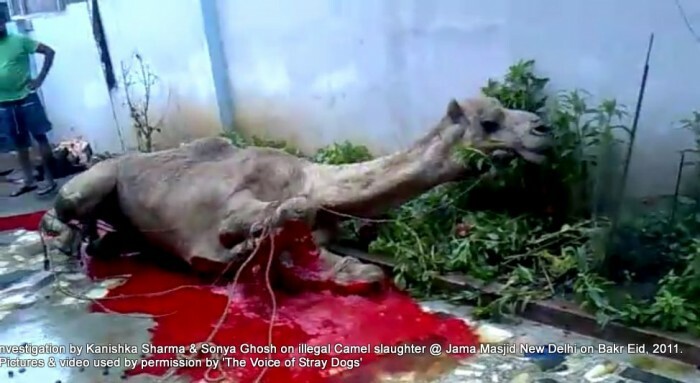 In Halal Slaughter, they cut the neck to allow the blood to drain out but do not cut the spinal cord which means the animal spends his last moments dying in agonizing pain. The larger the animal, the longer it takes to die.